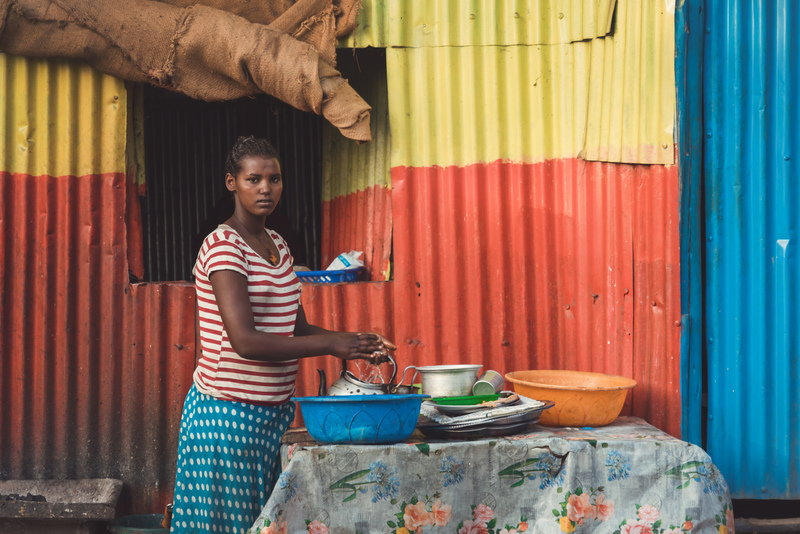 Ethiopian girl washing the dishes outside the colorful walls of her home..
Addis Ababa, Ethiopia’s sprawling capital in the highlands bordering the Great Rift Valley, is the country’s commercial and cultural hub. Sie sollte auch mal das Tischtuch waschen! ohh there is such a deep feeling in this image! Das wahre Leben hast du hier perfekt in Szene gesetzt !!!!! Ein klasse Street vom richtigen Leben.